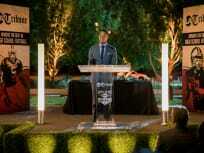 On All American Season 1 Episode 16, Spencer suffers a devastating setback and gets strength from an unlikely source. Billy faces tough truths. On All American Season 1 Episode 15, Spencer learns the real reason his father left when he was growing up and Coop tries to stop a plan in motion. 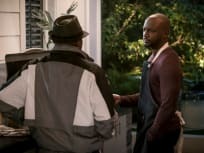 On All American Season 1 Episode 14, Spencer decides he wants no part of his father's return while Billy confronts him about their tumultuous past. On All American Season 1 Episode 13, Spencer makes a few shocking discoveries about his father and Coop desperately wants to bring down her enemies. 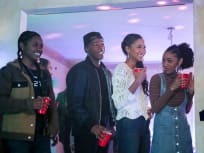 On All American Season 1 Episode 12, Olivia struggles with her sobriety, Billy reveals something to Laura, and Coop has conflicted emotions about reuniting with her father. On All American Season 1 Episode 11, some of Spencer's former teammates show up to a recruiting event, causing him to lose focus. Olivia comes to Asher's aid. On All American Season 1 Episode 10, Coop's relationship with Patience is tested as she gets more involved with gang life. Spencer is determined to stop the violence. 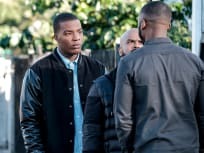 On All American Season 1 Episode 9, Coop learns some disturbing information about a friend and Jordan is worried about the results of his drug test. 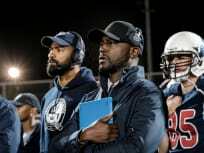 On All American Season 1 Episode 8, Billy tries to bring the team together for a win that will take Beverly to the playoffs for the first time since he became head coach. On All American Season 1 Episode 7, friendships in both Crenshaw and Beverly Hills will be put to the test when decisions made by Spencer trigger an avalanche.